Yup, things start wrinkling, become blurry, sag, grey – you get it. You may even live it too. Now listen, everyone has their stance on Botox and surgery. Frankly, I used to be against it – until I started noticing and experiencing the terrible things I noted above. Now my position is – if you can afford it and you want to do it, go for it! But because I am regularly dumping my earnings into childcare, diapers and food, I have to stick to clever and cost-effective ways of maximizing the fountain of youth. I am not trying to be 20. I am just trying to ‘look’ 20! I regularly dye my hair, every 5 weeks. Some of you may have been blessed with great genes in the hair department – lucky! But for those of you who are grey, this is the way! and mascara-type temporary root paints. I find that they are sticky, gross and look super fake. Then I came across the L’Oreal Root Instant Concealer Spray products, and they work like a charm. It’s a spray dye (kinda like hair spray). The product now comes with a mascara type brush to blend in. I often use a towel or a hair brush. Love it. You must try it. It comes in 5 or more colors and is available at most pharmacies and department stores. So many women don’t realize the importance of getting properly sized and investing in a good bra to hold the girls in place. Breasts actually change size many times – i.e. lose weight, gain weight, pregnancy, breastfeeding, weaning etc. If you were a size 34B in your 20s, I guarantee you are not the same size these many moons later. You should get measured and fitted often. Go to a specialty bra shop. My personal fave shop is Change (they carry sizes all the way up to ‘M’). of water those lines faded. So yes drinks lots of water so your skin will stay supple. I’m a big fan of Zero Water! definitely tighten up muscles. Just move as much as you can. I often put music videos on and dance with my kids to bust a sweat…yes a little Bieber action is a good thing! Just as important as investing in a good bra – investing in a good moisturizer is key. It also goes hand in hand with staying hydrated. Your skin needs it too. I am a superfan of the Clinique product line. The products are amazing and they are hypoallergenic. I have very sensitive skin and I have never had an issue with any of line. 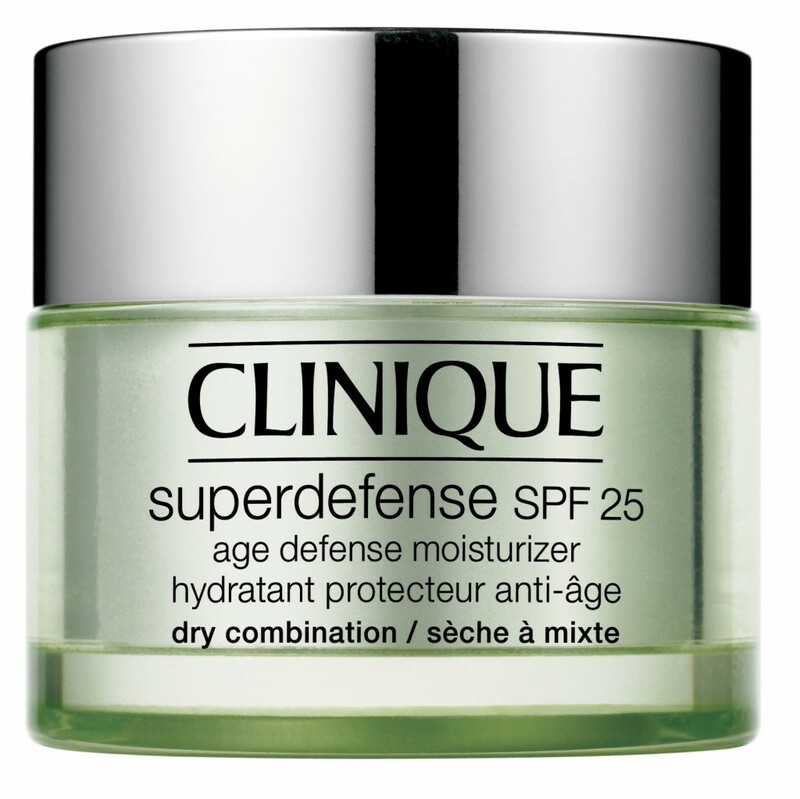 My beauty regime includes applying Clinique Superdefense cream followed by applying Clinique Moisture Surge over top. Have any anti-aging tips or products that we missed? Share in the comments section below – would love to hear your secrets!